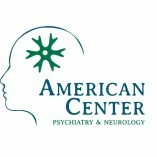 Welcome to American Center for Psychiatry and Neurology (ACPN), where your wellbeing is our priority. ... Founded in Abu Dhabi in 2008, we have since expanded our facilities to Dubai, Sharjah and Al Ain, escalating to provide services to over 60,000 patients throughout the years – a number which we aim to keep growing.